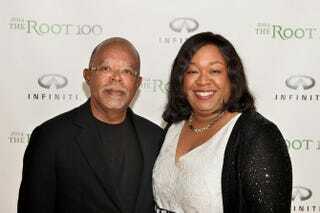 Henry Louis Gates Jr., editor-in-chief of The Root, and Shonda Rhimes attend The Root 100 2014 List Release Reception on Aug. 19, 2014, in Edgartown, Mass. Shonda Rhimes doesn’t seem like the type of person who bites her tongue offline, because she certainly doesn’t do it online when communicating with people on social media. Over the weekend, a viewer tweeted Rhimes a complaint about the gay scenes being shown on Scandal and How to Get Away With Murder. You would think this person was new to the diversity of Shondaland productions, or even new to the world we exist in that includes people of diverse ethnic backgrounds and sexualities. But needless to say, Rhimes had a lot to say about that tweet. Rhimes then ended her response to the viewer’s complaint with what sums up everything that is right with every Shondaland production. It’s safe to say that viewer got told. She’ll remember it forever.